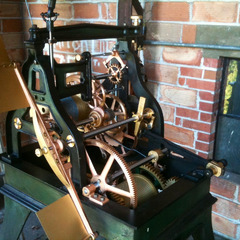 We have extensive experience in US historical clock restoration. 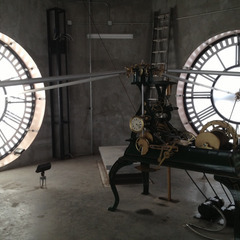 In addition to the United States, our team can restore clocks around the world. 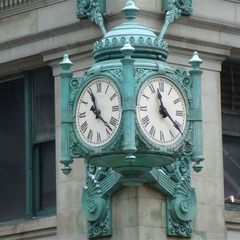 A member of the National Trust for Historic Preservation is on staff at Americlock, Inc. 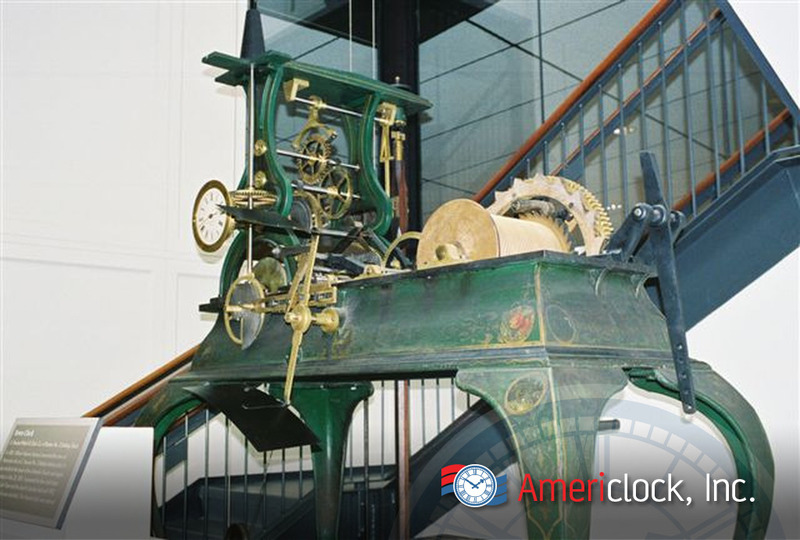 Clock restoration by Americlock will ensure your treasured antique timepiece will not only operate correctly, but will do so for many years to come. 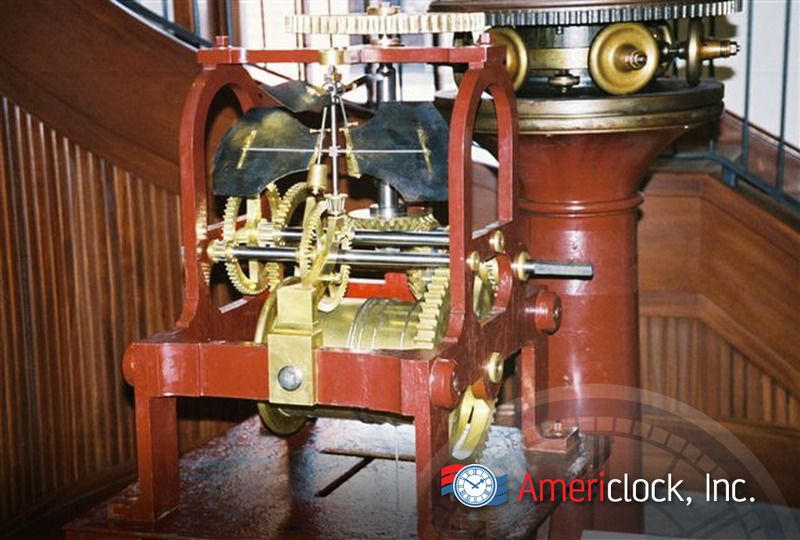 From simple cleaning and oiling to machining entire gears, replacing bushings, and complete overhauls, Americlock can perform a complete tower clock restoration or renovation of traditional time pieces. 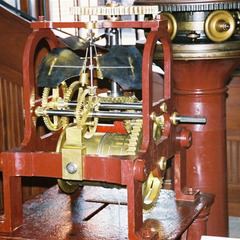 Combining newer technologies with antique clockworks, we can automate the rewinding of the weights in old clocks, which eliminates the need for any manual winding but without sacrificing the tradition of weight-driven hand movements in church towers, clock towers, and old antique colonial city halls. 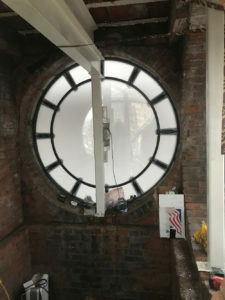 History speaks for itself! 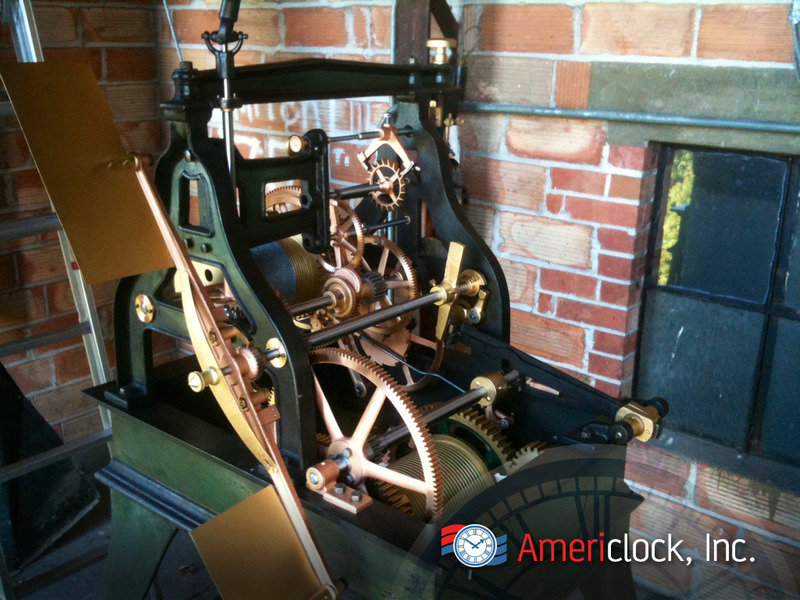 Americlock restored the oldest mechanical clock in America at St. Micheal’s church in Charleston, South Carolina. 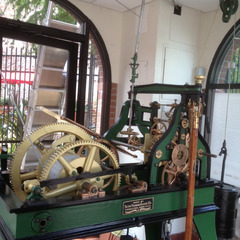 The clock was ordered in 1765 and delivered to the church in 1768. 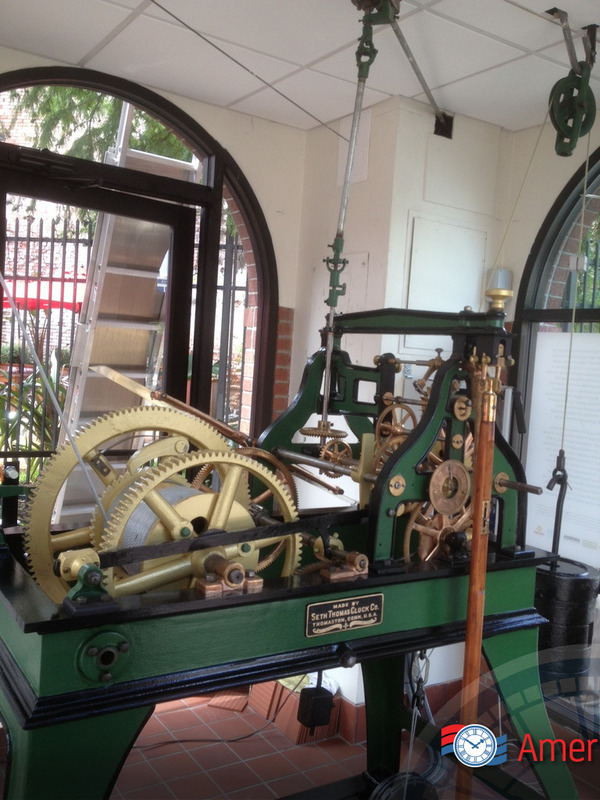 We takes special care to ensure that your historical mechanical clock is properly cleaned using our propitiatory cleaning methods that are not harsh or abrasive. 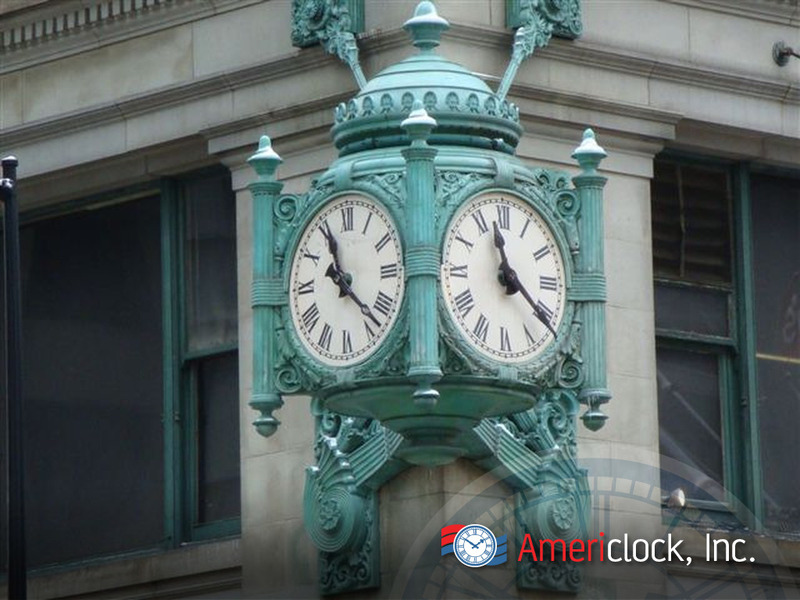 In addition to turnkey historical clock restorations, Americlock can also provide you with complete maintenance for your street clock, post clock, historical tower clock, and mechanical clock needs. 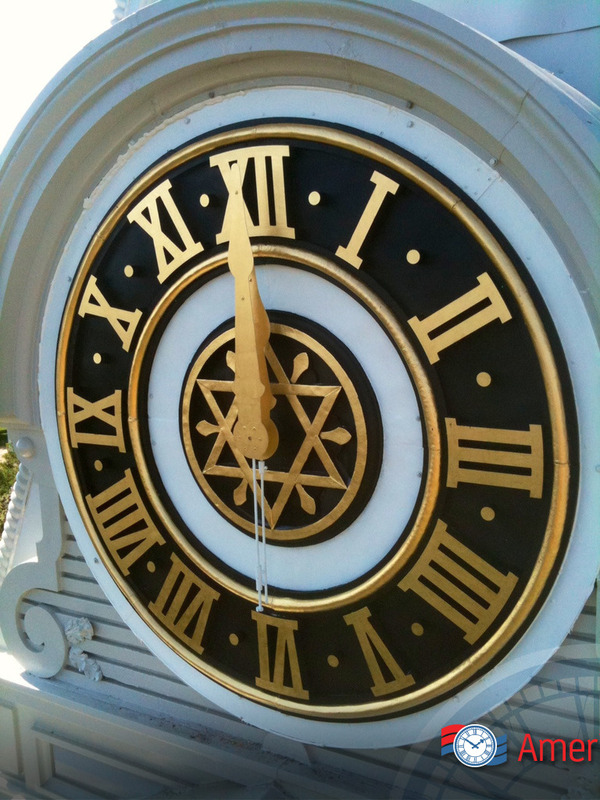 Our expert clock restoration team completed the restoration of a century-old clock at the oldest stadium in the United States, uncovering original gold leafing on hands and re-installing the timepiece back to its former grandeur. 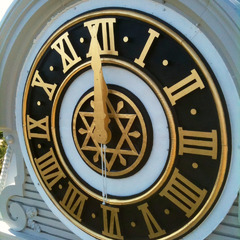 Many churches and town halls dot the American landscape, many featuring aging clock systems that need an expert hand. 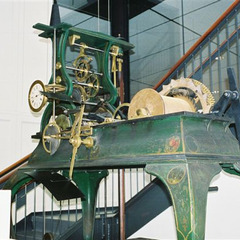 While many companies like to electrify historical clocks, Americlock can help you remove these systems and return your clock back to the way these clocks were meant to run, by means of mechanical weights and pendulums, the way that these mechanical clocks ran 100 years ago and can run again. 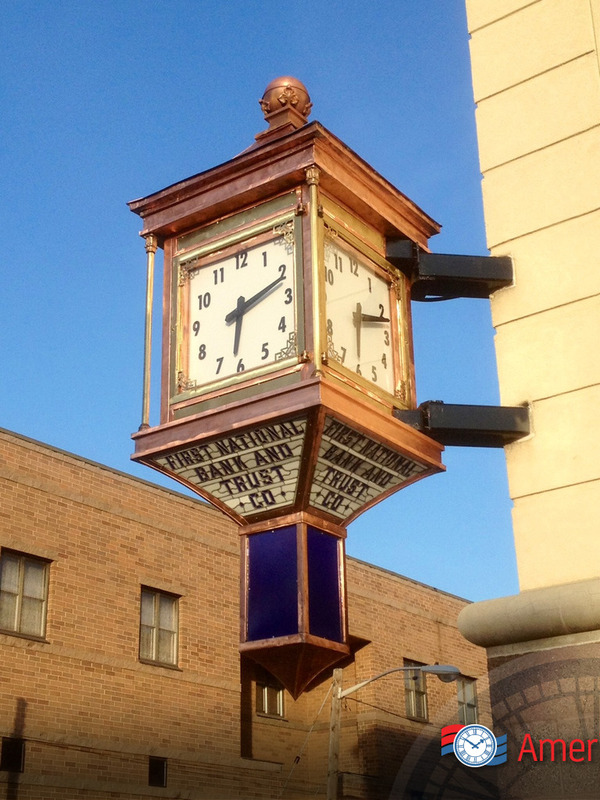 If you’re considering a traditional clock restoration project, our team of experts can assist you with the planning, execution (as this may involve the temporary removal and re-installation of movements, mechanisms, or motors), and the actual renovation process. 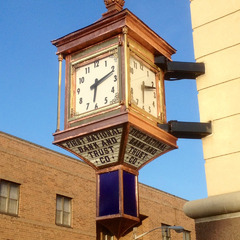 From Seth Thomas to Howard to McClintock clocks, we refinish, renovate, repair, retrofit, and restore it all. 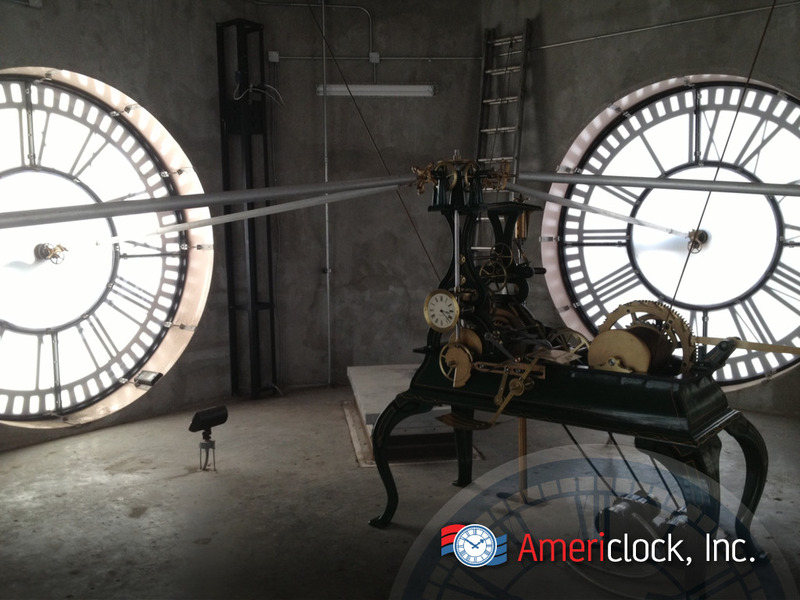 Contact Americlock today to go over your restoration project.